Posted April 19th, 2018 . The first charging point under Milton Keynes Council’s ‘MK Promise’ scheme has been installed for use by residents of Wavendon House, a Grade II* listed former outpost of Bletchley Park. 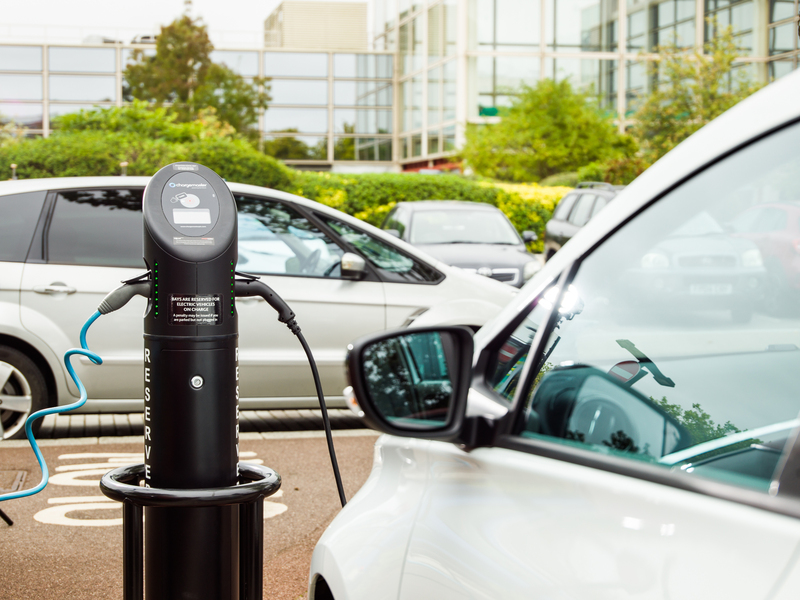 The MK Promise initiative allows local residents to apply for a UK-made Chargemaster charging point to be installed free of charge by the council if they do not have private off-street parking, such as their own driveway. The new Chargemaster Fastcharge unit is the latest chapter in the rich history of Wavendon House, a 17th-century manor house with grounds landscaped by celebrated 18th-century gardener, Richard Woods. During World War II, as a hedge against enemy attacks, several of the famous code-breaking ‘Bombe’ machines from Bletchley Park were moved to various nearby outposts. Wavendon House had five machines running by the end of 1941, with 14 Bombes removed by the end of its operations.